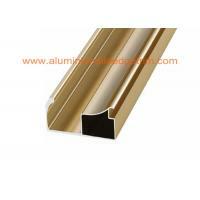 Kitchen cabinets assembled from aluminum cabinet door frame profiles are highly resistant to any corrosion and can be easily cleaned with any household detergents without causing any harm to the furniture. Such characteristics have turned aluminum kitchen cabinets into a popular design solution for places of common use. 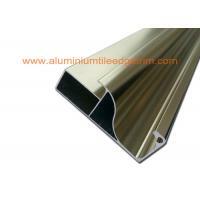 We can offer complete aluminium alloy accessories for crystal steel shutter, including door handle, left and right frames and other accessories. New Moulds Opening new mold about 7-10 days, absolutely mounds cost can be refund. 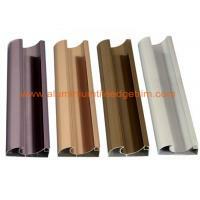 We can supply with OEM Service for our customer. There will be one-off version cost from 350$ . Kindly send your brand design to our sales representative for detail quote. Step 1: Confirmation on CAD Drawing and mould cost. 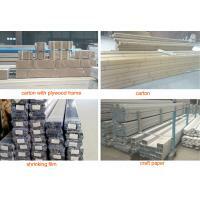 Sep 2: 10-15 Days for mould production and sample testing. Step 3: Confirmation on physical samples. Step 5: Loading containers and shipment. 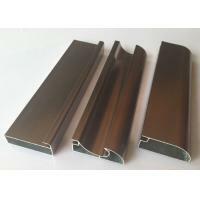 Lichan is a leading manufacturer and supplier of aluminium decoration material manufacturers in Foshan City, Guangdong Province, China. 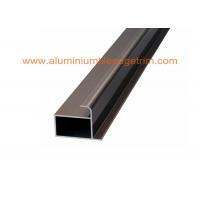 Since established in 2012, our company has developed into large-scale and leading manfuacturer with a fast speed. 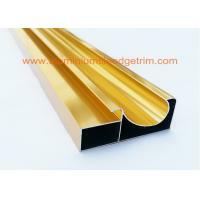 Our main products include aluminium tile trim, aluminium floor trim, aluminium carpet trim, aluminium stair nosing, aluminium skirting board, stainless steel tile trim, PVC tile trim, aluminium extrusion window and door profiles and other decorative trim profiles. Covering over 20,000 sqms, Our factory owns one-top production lines that includes product designs, mold development, extruding aluminium profiles, surface finishing etc. We have more than 500 moulds of the types to meet different requirement of clients from all over the world. We have another workshop for surface finishing, the profile surface can be made with a variety of treatments and colorsOur surface treatment of aluminium profiles include anodized, polished, brushed, powder coating, thermal transfer printing, electrophoresis and so on. if our standard shapes and surface finishes are out of your ideas, it doesn't matter, we can open moulds according to your product or new design.